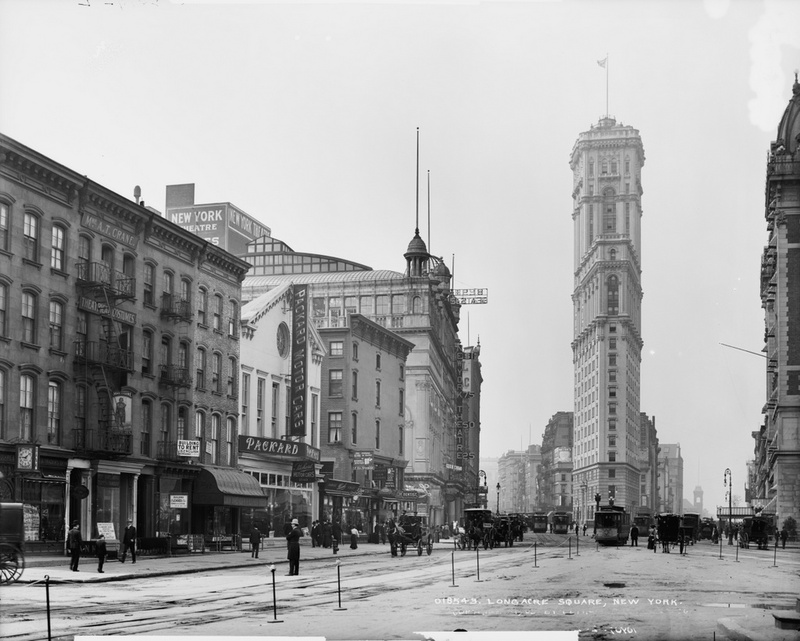 Times Square, as it appeared around 1905. Image courtesy of the Library of Congress, Detroit Publishing Company Collection. The tall building toward the right-hand side of the 1905 photo is actually still there – it’s the Times Square Building, and was the headquarters of the New York Times in the early 20th century, hence the name “Times Square.” The New York Times hasn’t used the building in a century, but it’s still there, covered in billboards, and with the famous New Years ball at the top. 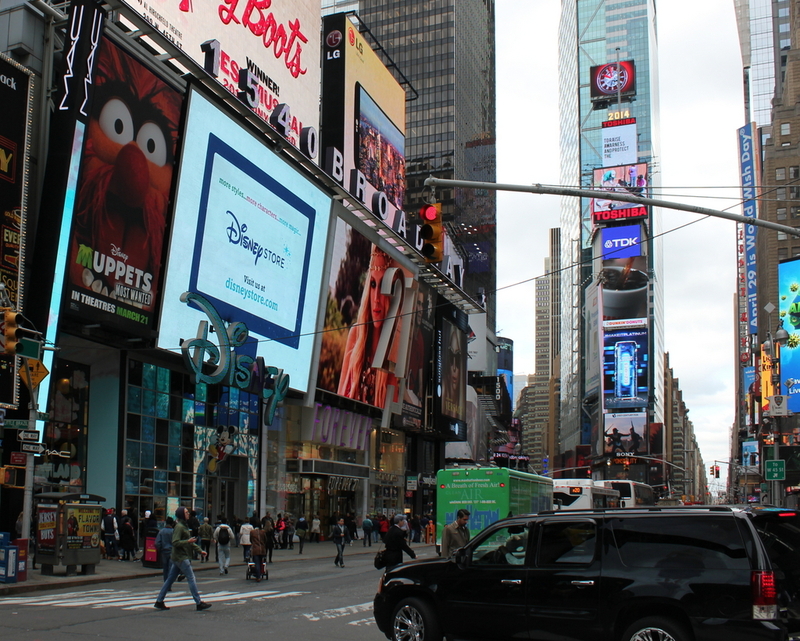 Because of the building’s narrow dimensions, it’s actually more profitable to cover it in billboards and electronic signboards instead of renting it out. Otherwise, all of the other buildings in the first picture are either gone or are completely hiding behind billboards and signs. I think I like the 1905 photo better. 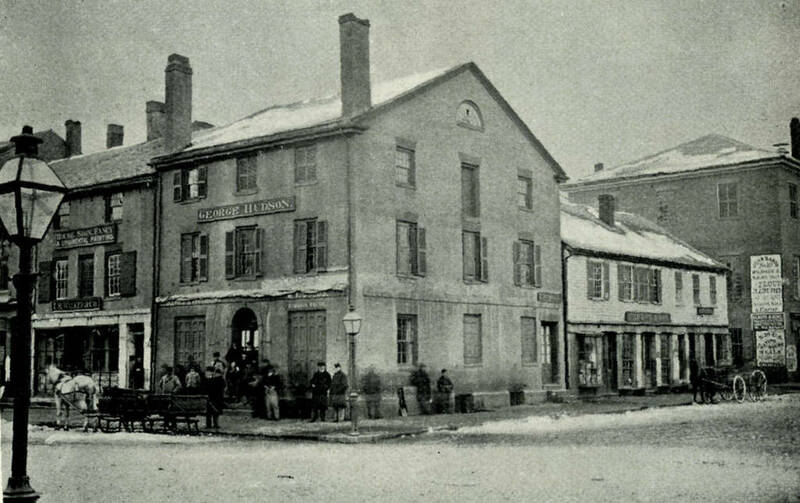 The northeast corner of Main and State in Springfield, sometime in the 19th century. Photo from Picturesque Hampden (1892). The same location, around 1892. Photo from Picturesque Hampden (1892). Many of these Springfield street scenes follow a predictable pattern over the past 150 years or so – first, a pre-Civil War Federal style commercial block, followed by a larger, more ornate building in the latter part of the 19th century, and finally some sort of modern, 20th century structure. 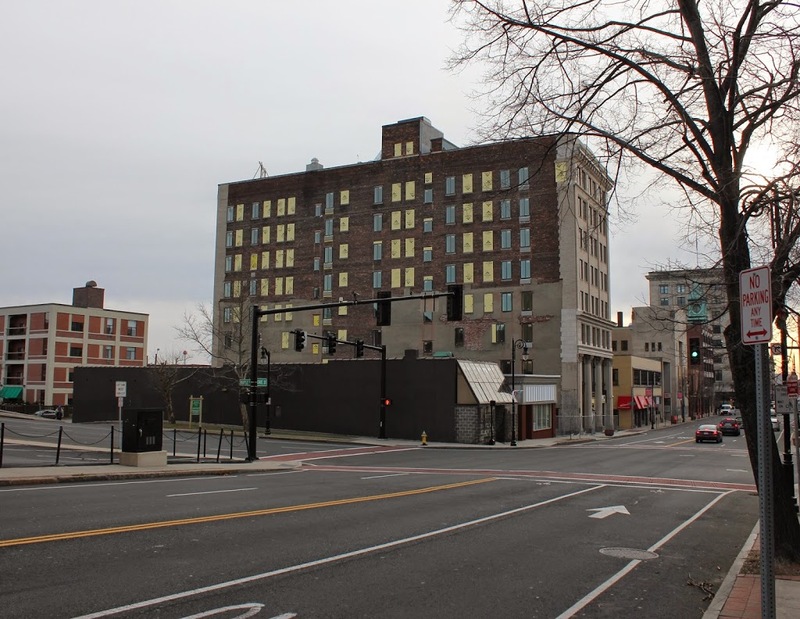 In this case, we clearly see all three generations of commercial development at the corner of Main and State, culminating with the MassMutual Center of the 1970s. 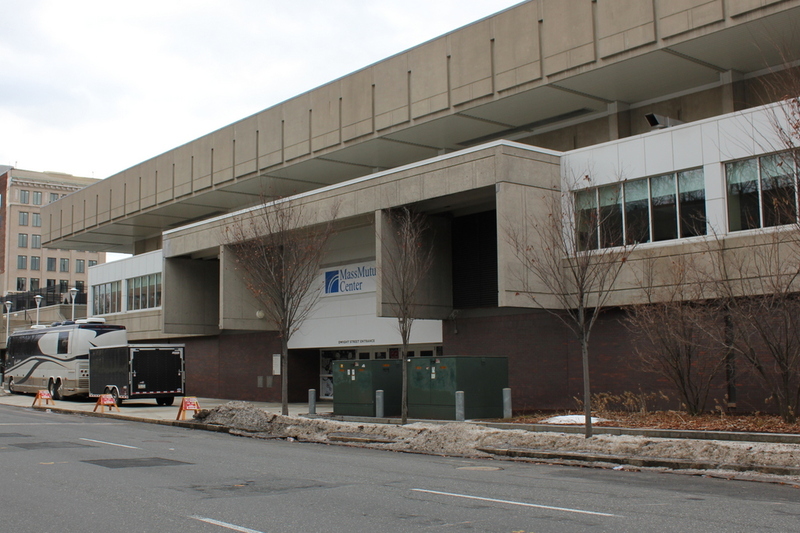 Of particular interest is the building in the second photo – above the entrance is a sign that reads “G. & C. Merriam & Co Publishers,” the publishers of the Merriam-Webster Dictionary. 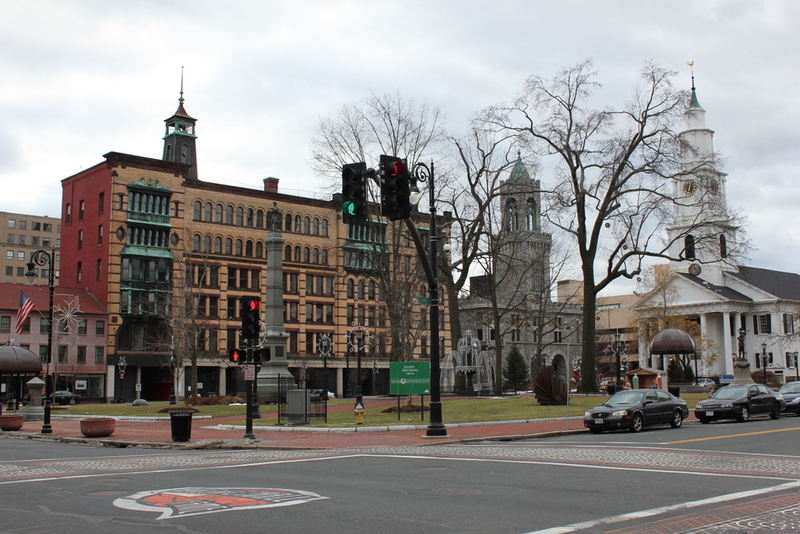 Today, the company is still headquartered in Springfield, just up the hill on Federal Street. 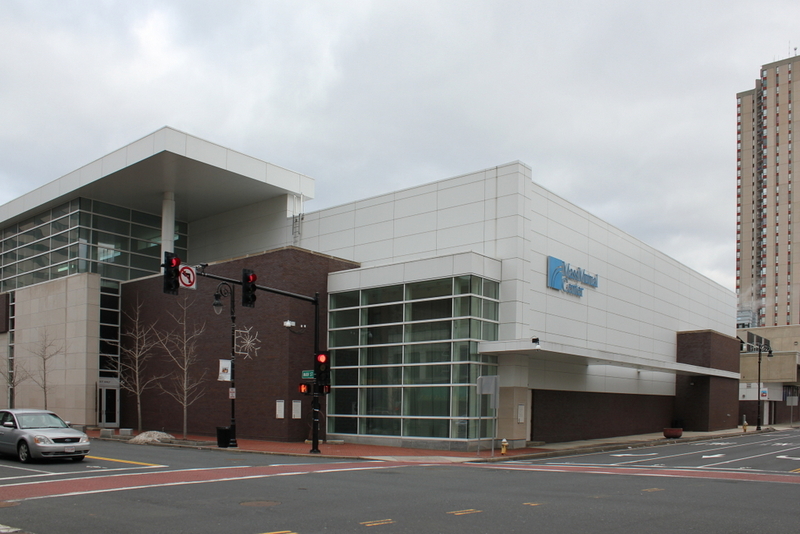 See this post and this post for a few other angles of the neighborhood that is now the MassMutual Center. 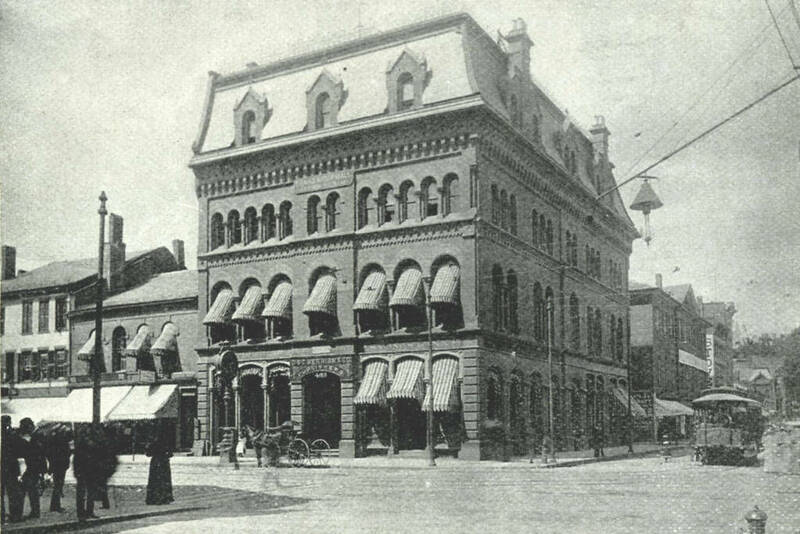 The Chicopee Bank Building, at the corner of Main and Elm, sometime before 1889. Photo from Springfield Present and Prospective (1905). The same location, between 1889 and 1895. Photo courtesy of James Ward Birchall Collection. 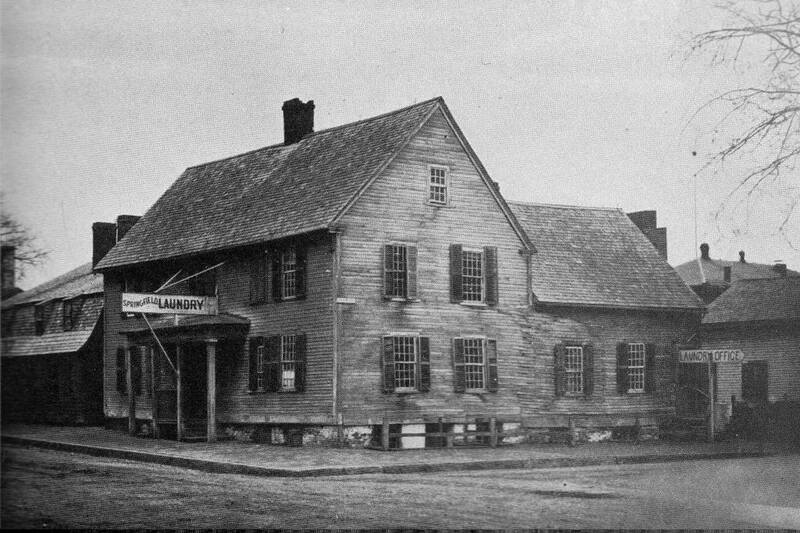 The original building was built in 1835, at the same time as the other three-story commercial buildings on and around Court Square. It was demolished in 1889 and replaced by the current structure, which survives with minimal changes. The building to the left, however, has been trimmed down in height. 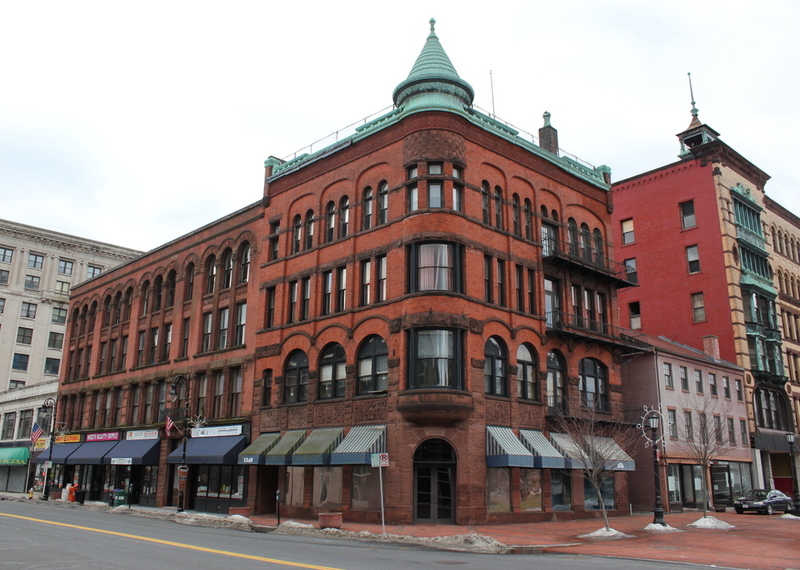 On the other side, along Elm Street, the 1835 Byers Block survives as a remnant of what the old Chicopee Bank building once looked like. 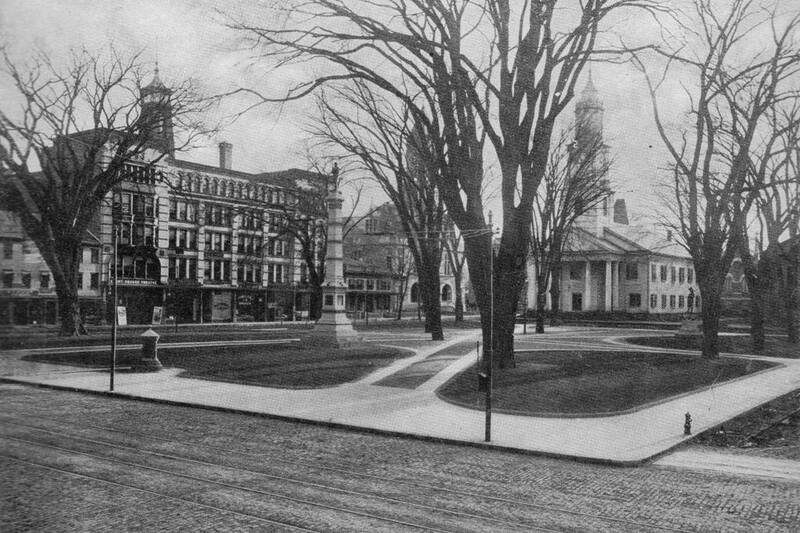 Springfield’s Court Square, sometime in the 1880s or earlier. Photo from Springfield Present and Prospective (1905). 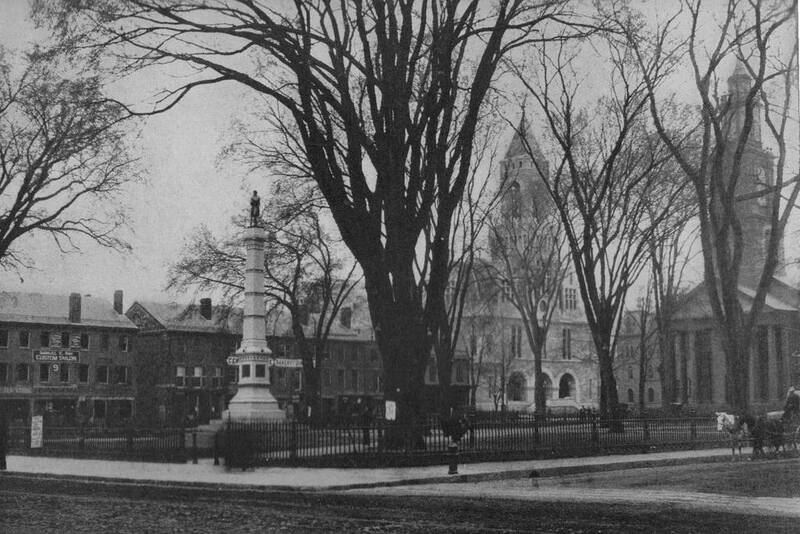 The scene in the 1890s. Photo from Our County and Its People: A History of Hampden County, Massachusetts (1902). 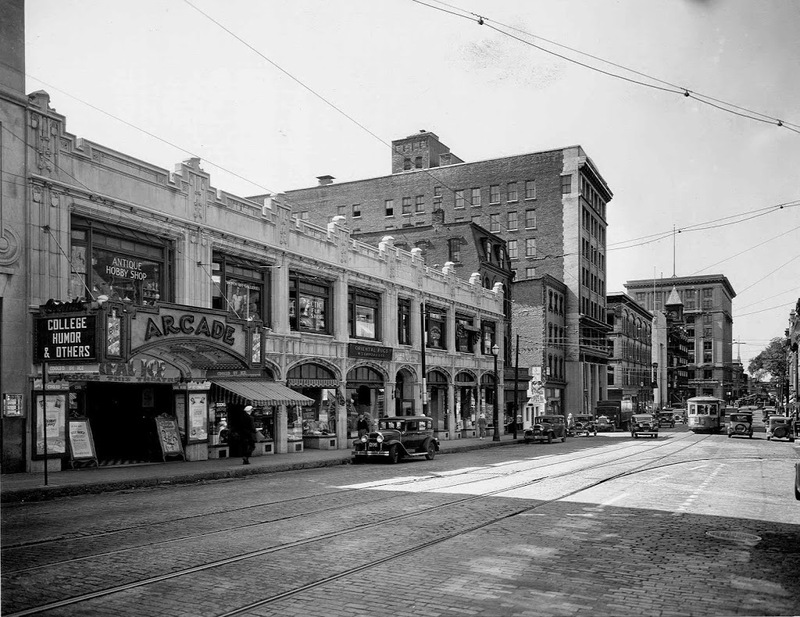 The three photos show the progression of the appearance of Court Square in the past 125+ years. 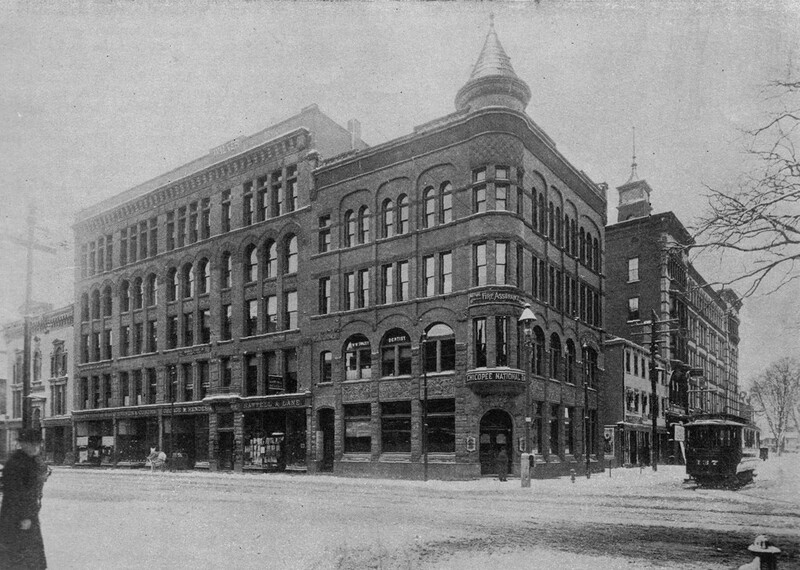 In the first photo, the buildings along Elm Street are all 1830’s-era three story commercial buildings, most of which were replaced by the Court Square Theater in 1892, which can be seen in the second photo, a rare view of the building before the 1900 expansion on the right side. That is essentially the only change between the second photo and today’s scene – not much has changed with the four major buildings in this angle. 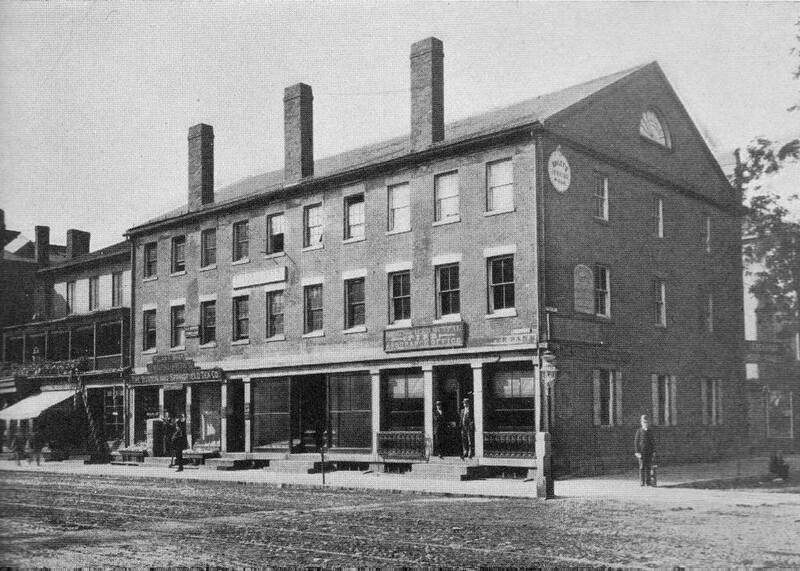 One notable survivor on the far left is the Byers Block, which was built in 1835 and is the last remaining part of the Elm Street commercial blocks from the first photo. Wedged in between two much larger late 19th century building, it is the oldest surviving commercial building in the city, although not the oldest building in the photo – Old First Church on the far right dates to 1819.